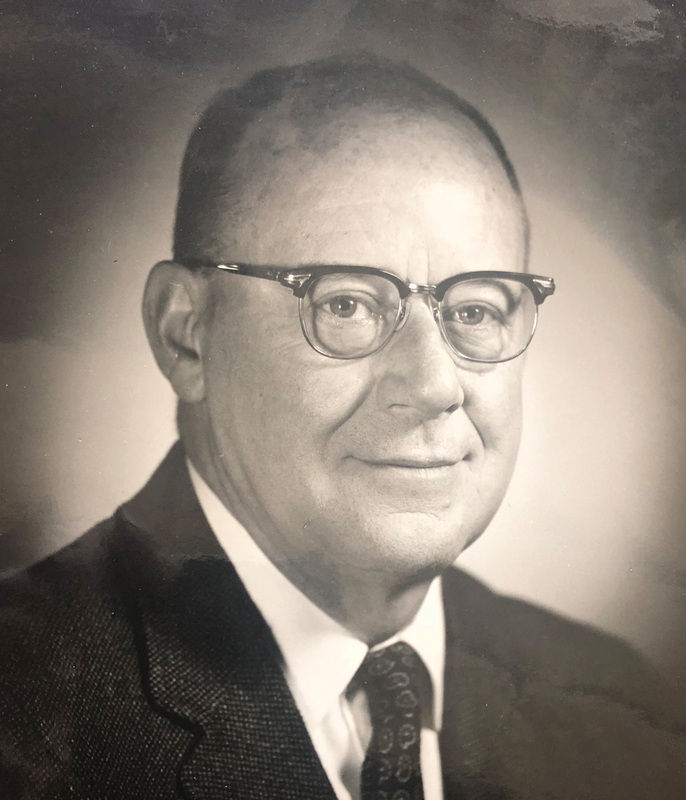 After 90 years, it is safe to state that Cline, Cline & Griffin and its predecessors have been part of Flint’s legal community throughout the 20th Century. The firm was first established in 1928 with offices located in the then newly-finished Mott Foundation Building at the corner of First and Saginaw Streets in Downtown Flint. A small, corner office overlooking Saginaw Street was the beginning. Originally styled “Stockton, Cline & George,” the firm maintains an active legal practice in that same location today. It continued as Stockton, Cline & George until the death of Thomas Stockton (1870-1937), at which time it continued under the name of Cline & George (Howard D. Cline, Sr. (1903-1965) and Francis J. George (1904-1970) until 1960, at which time the firm became Cline & Cline. 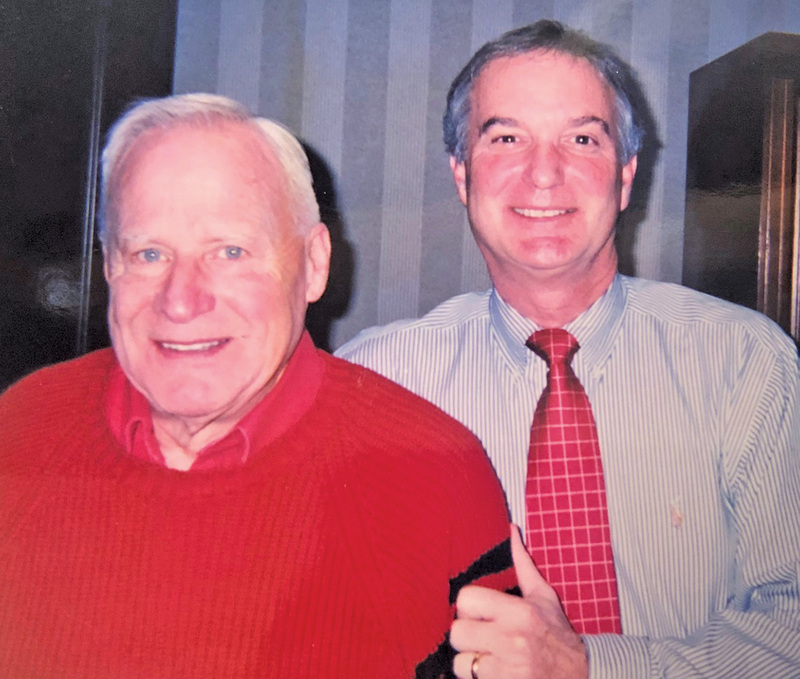 One original founding member, Howard D. Cline, Sr., continued in practice along with his sons Earl J. Cline (1931-2002) and Howard D. Cline, Jr. “My father and his law partner, Francis George, resolved to work together to provide honest, straightforward and legally sound advice to their clients,” says Cline. 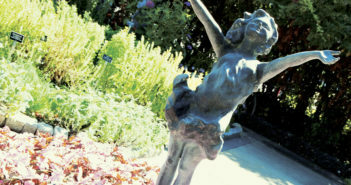 “Even during the depression, my father and his partner remained together providing legal services, regardless of whether or not they received payment from their clients.” After the death of Howard D. Cline, Sr. in 1965, the firm remained as Cline & Cline until 1978 when it became established as Cline, Cline & Griffin (Walter P. Griffin). Still operating in the same location, the firm has expanded its offices to now occupy the entire tenth floor of the Mott Foundation Building. “My father considered Flint his hometown and the community a building block upon which he developed a solid law practice,” remarks Cline. Today, the firm consists of nine lawyers with Walter P. Griffin, Timothy H. Knecht, José T. Brown and J. Brian MacDonald as principals. Looking back, it is hard to believe this firm has existed during the Great Depression, WWII, the boom period of the 1950s and 60s, Vietnam, 9/11, and the conflicts in Iraq and Afghanistan. To survive through three generations of attorneys, multiple changes in Flint, both ups and downs, and to flow with changes in the laws is truly amazing. Initially recognized as a general practice firm, it maintains that moniker today; but changes in the practice of law over the past nine decades has necessitated some specialization. Prior to 1950, the practice was indeed general, which required an attorney to handle a myriad of legal issues for clients in the Flint community. Since the 1950s, the firm has developed a defense practice in the negligence field, acquiring as clients several insurance carriers throughout the country and particularly in the areas of medical, dental and hospital malpractice defense. 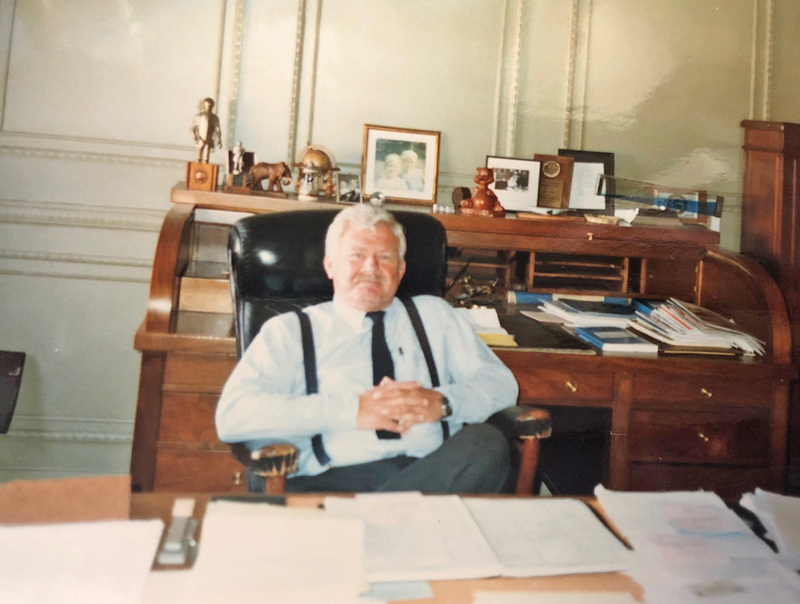 In addition, they have continued a strong business and corporate practice for a diversity of clients and has an active will, trust and estate practice. (L-R) J. Brian MacDonald, José T. Brown, Walter P. Griffin, Timothy H. Knecht. 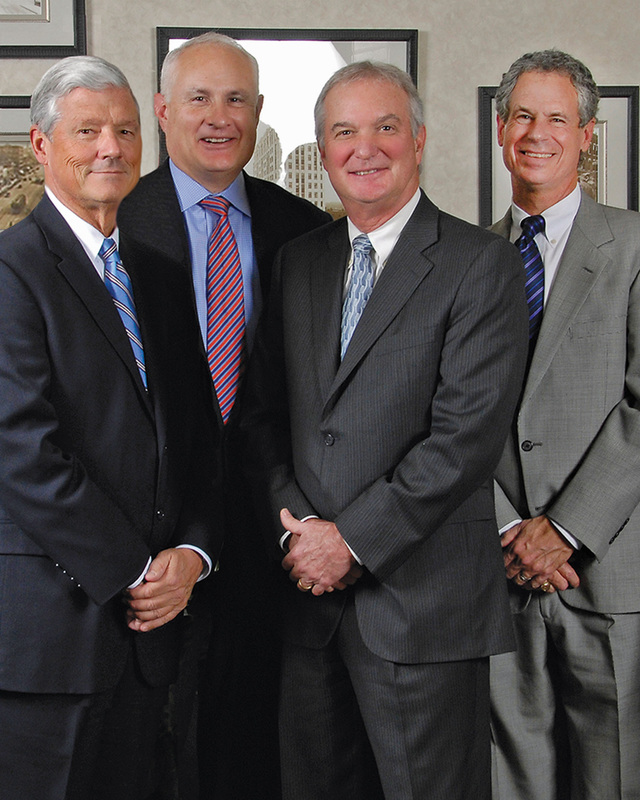 The attorneys of Cline, Cline & Griffin have also held significant leadership roles in the legal community. Griffin has been president of the Michigan Defense Trial Counsel, President of the Genesee County Bar Association, and Chairman of the Negligence Section of the State Bar Association. Knecht has also provided leadership in these same roles and is a past president of the Centennial American Inn of Court. Earl J. Cline at the office. Supporting the legal profession and the community as a firm, and personally by the attorneys, along with representing multiple corporations and entities has been the core of the firm. It is with great pride that the members celebrate their 90-year heritage and hope to continue the legacy along with the resurgence of the community.